Are you experiencing pain? Are you unsure of where to go and who to trust to fix it? We have definitely all been there. When you’re afflicted with pain from a recent injury, an injury that occurred a long time ago, or chronic pain from your occupation, it’s scary to figure out what to do next. How do you know chiropractic is right for you? Well, you’re in the right place. At Synergy Oviedo Chiropractic, our chiropractors pride ourselves on family-oriented corrective chiropractic care of all ages, from children to seniors. Our dedicated staff are here to provide state-of-the-art care designed to take a holistic look at your body. We’re not just here to treat symptoms – we’re here to solve your problem from its roots and get you back on the road to being your best self. Are you suffering from sciatica? Herniated disc? Bulging discs? TMJ? Neck, shoulder, or back pain? Some of these disorders are hard to understand, and it’s tough to be sure exactly what caused them. At Synergy Oviedo, we’ll make sure to explain not only your condition but also every part of the treatment process clearly and efficiently. Well, here we define it as “even better together”. What makes our chiropractic office unique and special is that we combine multiple healing arts that produce a greater result in combination then the individual services by themselves. We combine corrective chiropractic care with physical therapy and at home exercises. Additionally we also utilize advanced technologies such as spinal decompression therapy for disc problems and deep tissue laser to help treat soft tissue inflammation as well as extremity pain. We also provide regular progress evaluations where we can monitor progress. Finally our Oviedo chiropractora also take a post x-ray which can help us ensure that the spine is in an optimal position. That sounds scary, doesn’t it? Well don’t worry, it’s a process that dramatically reduces the pain in most patients caused by disc issues within only a few sessions, and drastically improves their range of motion. Not convinced yet? Give us a call. At Synergy Oviedo Chiropractic we utilize the expertise of three chiropractors with over combined 45 years of clinical experience with a rehab team of 28 years of combined clinical experience. We utilize the most advanced tables and instruments to help make adjustments comfortable and effective. We utilize digital x-ray technology. We’re always open to questions, concerns, and criticisms, and we would be happy to talk with you. Plus, you can check out our YouTube channel for testimonials, treatment descriptions, our “Careers” series, and much more. Dr. Eric Janowitz, Florida native, has been a practicing Chiropractic Physician in the Central Florida area since 2000. He has overseen the evaluation of 15,000 local residents and has personally performed over 250,000 Chiropractic Adjustments. He created an award winning practice that has invested in assembling a physician team that has over 40 years of clinical experience to create the most comprehensive experience for patients providing a unique blend of services that typically are not conveniently in one facility. Synergy was designed to be comprehensive, current, upbeat, and family oriented, employing a team to provide a “Ritz Carlton” experience. Dr. Janowitz completed his undergraduate studies at University of Florida and subsequently the prestigious Logan College of Chiropractic. He obtained two Bachelor’s Degrees, one in Psychology and another in Human Biology, as well as his Doctorate in Chiropractic in 1999. He is married to Dawn, who grew up in Oviedo, and has two amazing children- Asher and Journey. You can often see Dr. Janowitz in the community at local events or speaking at area businesses, organizations, and even at UCF. Dr. Janowitz utilizes many chiropractic techniques to help patients of all ages gently correct pressure off their spine in the most comfortable and efficient manner. His focus is on family chiropractic care, non-surgical disc decompression care, deep tissue laser therapy for extremity pain, TMJD, and automobile injuries. Your Ovideo chiropractic clinic provides care to you and everyone in your family, regardless of age. From pediatrics to senior care, let our dedicated staff help increase improve your health and eliminate pain so you can live life to its fullest. When you come to Oviedo chiropractic you’ll have access to state-of-the-art chiropractic care, massage therapy, physical therapy, spinal decompression therapy, and total wellness care all under one roof. If you suffer from sciatica, herniated discs, bulging discs or other spinal related ailments, you’ll benefit from our non-surgical, technology-based spinal decompression therapy. While most think of “computerized traction” as something “scary,” in actuality most patients report a dramatic decrease in their pain symptoms while improving their range of movement within a few simple sessions. If you are battling fibromyalgia, carpal tunnel problems, sciatica, sports injuries, car accident injuries and other similar pain problems, you’ll love our cold laser therapy. This treatment involves our trained, friendly staff of chiropractors, medical doctors, and specialists administering a no-heat specialty light beam directly onto your area of pain. While many of our patients receive this type of cold laser treatment form our Oviedo chiropractic office for the first time, it is certainly not new. A 2002 study by the US FDA found that patients who utilized cold laser therapy as part of their pain management protocol healed up to 66% faster than those who did not, which is why we offer it. At Synergy Oviedo Chiropractic, your total health and wellness is our only concern, which is why we remain on the cutting edge of pain management/relief and wellness care. To find out for yourself, please call us at 407-359-2757 to meet our friendly staff, my wife Dawn, and me, and to claim your New Patient Welcome Gift. Our Helpful team is available to answer your questions Monday through Friday from 7 am to 6 pm and we even have weekend phone access if you need it! We provide the most advanced Spinal Decompression Therapy system. End your disc pain with our Kennedy Decompression, Chiropractic, and Physical Therapy one stop solution. We provide Class IV Deep Tissue Laser Therapy for pain relief and healing. Reduce pain and inflammation, avoid steroids, and help your injured areas heal. 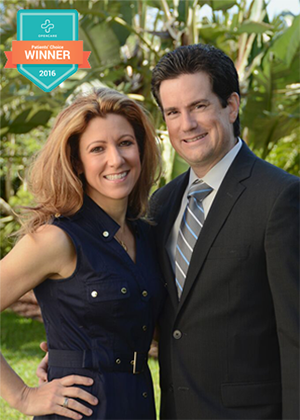 Dr. Eric Janowitz, Florida native, has been a practicing Chiropractic Physician in the Central Florida area since 2000. He has overseen the evaluation of 15,000 local residents and has personally performed over 250,000 Chiropractic Adjustments. He created an award winning practice that has invested in assembling a physician team that has over 40 years of clinical experience to create the most comprehensive experience for patients providing a unique blend of services that typically are not conveniently in one facility. Synergy was designed to be comprehensive, current, upbeat, and family oriented employing, a team to provide a “Ritz Carlton” experience. Dr. Whooley was born and raised in Rhode Island. She sought chiropractic as a profession because she wanted to correct the cause of the health problems rather than chasing the symptoms. This philosophy matched how she had been living her life and how she had imagined her future life as a doctor. Dr. Adriana Huertas is a native of Caguas, Puerto Rico. She earned her Bachelors of Science Degree in Biology from the University of Puerto Rico. She then attended the Universidad Central del Caribe, where she obtained her Master’s Degree in Cellular Biology. Dr. Huertas’s passion for helping others achieved a healthy lifestyle was what brought her attention to Palmer College of Chiropractic. "I took my seven year old son for his first adjustment today because of some long-term issues he has been having. He was understandably nervous. As soon as we showed up, the entire team worked at making him comfortable and even excited about his visit. We were not only pampered as soon as we walked in the door with above and beyond personalized service, but Dr. Janowitz was gentle and caring, and he went out of his way to refer different doctors and services to us to help us try to navigate what my son is going through. It's rare to receive such care and attention like we experienced today at Synergy! Thank you!" "My Internal Medicine doctor diagnosed me with whiplash and recommended I see a Chiropractic doctor. Having had a less than successful experience before with a Chiropractor, I procrastinated for months. I finally chose Synergy Chiropractic because of their reviews and information on their website. I had been in a lot of pain for months.. Every time I moved my head it was painful, making everyday living difficult. Driving was the worst. After my first adjustment and exercises, I felt some relief. I was progressing well until yesterday when Dr Janowitz suggested that I also have some physical therapy with Vito. I could tell on my way home that I felt a little better than usual. It's hard to describe how I felt when I woke up this morning. I hadn't had a good night's sleep for months, but I felt great this morning! Relief is sweet." "This practice is like no place you have ever been before. The doctors and staff are above all others. The level of attention they give to your medical history and your concerns are wonderful. Highly recommend this practice."